Patrick Collinson - Professor Patrick Collinson was a distinguished and much published author in the field of early modern history. A Fellow of Trinity College, Cambridge since 1988, he was Regius Professor of History at the University until 1996. He also held a number of academic distinctions, including Fellowship of the British Academy.Collinson authored his 1957 doctorate on Elizabethan Puritanism under J. E. Neale, and was a lecturer at the University of Khartoum and King's College London. He was professor at the University of Sydney in 1969, then at the University of Kent at Canterbury and the University of Sheffield. His 1967 monograph, The Elizabethan Puritan Movement, had a great impact on historians' understanding of the movement. The work showed Puritanism to be a significant force within the Elizabethan Church instead of merely a radical group of individuals. By the time of his retirement in 1996, he was one of the doyens of English Reformation history. 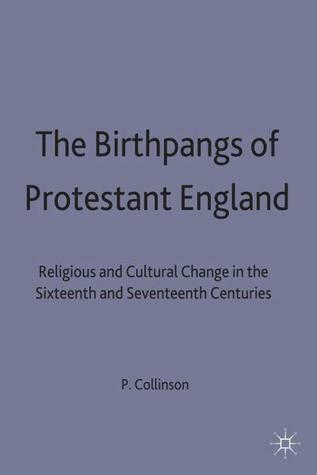 His short summation of the period, The Reformation, was published in 2003.Collinson's work laid the foundations, in many ways, for what historians of the English Reformation currently term the 'Calvinist Consensus' in the latter decades of the sixteenth and reign of James I/VI. As such, the belief Puritanism was anything but religiously radical in relation to English, and indeed British, culture stands as one of his great achievements as an historian.